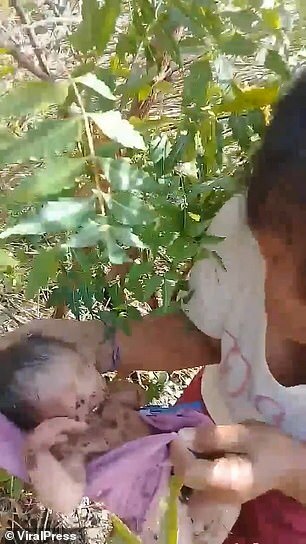 This is the moment a newborn baby girl was found naked and covered in insect bites after being abandoned in a forest in the Philippines. 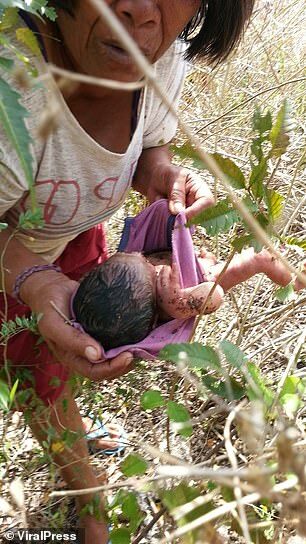 The infant, with her scalp still wet, was heard crying by a woman walking along a dirt track in Olango Island, on Tuesday morning. She sifted through the branches and found the baby girl without any clothes in dense woodland. The tiny child had insect bites across her body and her face was blistered by the 93F conditions. Residents worshipping at a nearby church were the first to be told about the infant and rushed over to help. 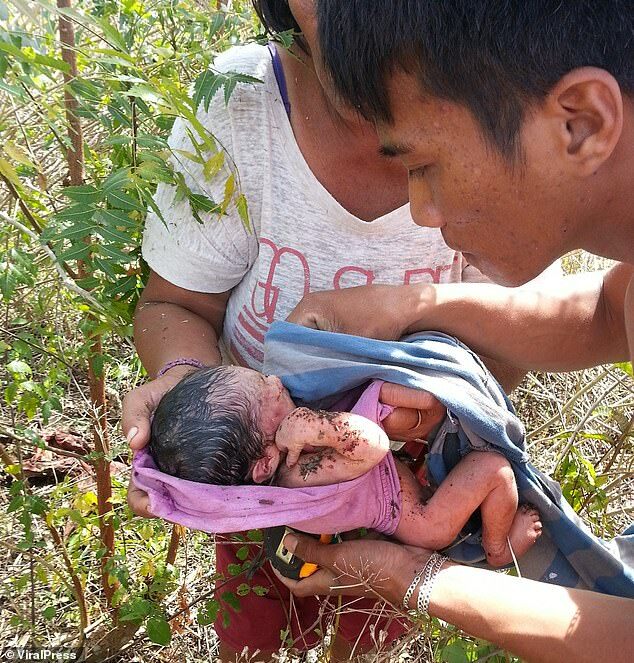 Eliezer Rosalejos was one of the people who helped rescue the baby. ‘Thank God the baby is still alive and we found her on time. Whoever her parents are, I hope they feel guilty,’ he said. 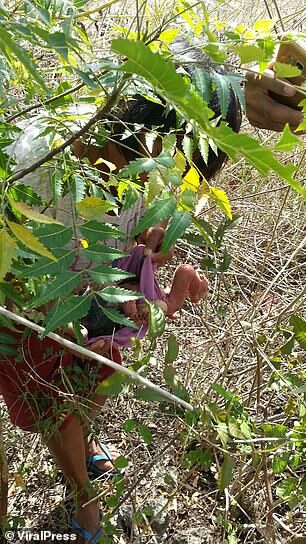 Locals found the baby girl among dried leaves and thorns. A pink child’s shirt was also found beside her. She had suffered from insect bites but is currently in stable condition at the hospital under the custody of the country’s social welfare department. Officers from the Olango Island Police Station are checking local medical records in a bid to trace the mother. 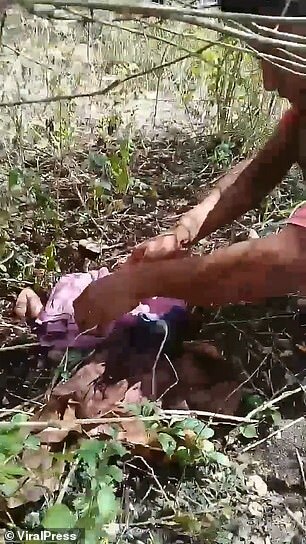 A spokesman said: ‘It is important that we find the mother so that she can receive any help needed and she is accountable for her actions.